Learn the Basic Accounting Course Level 1 Certificate in Accounting & Finance with ILC. Accounting Course Level 1 Certificate in Accounting & Finance the best for learners to develop the sense of accounting and finance. Professional studies in Accounting and Finance is of the great importance for the candidates who are seeking to develop the new skills for accounting management. Prepare and analyse different type of financial reports such as balance sheet, profit and loss statement, cash flow statement etc. Inspire London College presents an inclusive Accounting Certificate course in accounting and finance and provides a detailed introduction to the accounting discipline. The Accounting course Level 1 Certificate in Accounting & Finance enlightens the role performed by the accountants in modern businesses and how different financial reports can be prepared and analysed to understand the financial situation of a firm. Inspire London College’s management and teaching staff will be there for your assistance for 24 hours a day and 7 days a week. After enrolling in this course you will get access to our Virtual Learning Environment (VLE) /Moodle and all the study materials and assessments will be available /Moodle. Course material includes all the essential learning material such as lecture notes, Assessments, Quizzes (if require) in PDF, MicrosoftWord, Excel, PowerPoint format and other useful study links. A professional one-to-one tutor to provide all-inclusive assistance throughout the course online. Level 1 Certificate in Accounting and Finance is 30 credits Endorsed certificate. To achieve a Level 1 Certificate in Accounting and Finance learner must have to achieve minimum 03 units with 30 Credits. 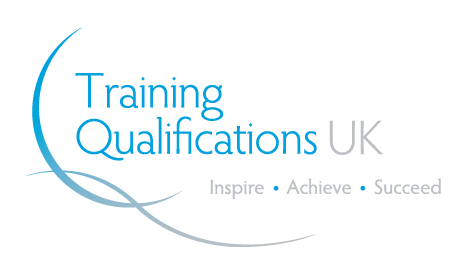 Upon successful completion of the course, learner needs to pay for an Endorsed Certificate from an Ofqual regulated awarding organisation or from Inspire London College (PDF format only). Anyone who is interested in the discipline of Accounting and Finance or wants to establish a successful career in this field of study can be the part of the Accounting and Finance Online Course. Without any prior knowledge in Accounting and Finance the learners can take Accounting course Level 1 Certificate in Accounting & Finance and in addition to this, there are no age restrictions. Thus anyone who is passionate and ambitious about Accounting and Finance can take the course. There are no specific dates or deadlines for admission and you can enrol anytime on this course. There are no precise requirements for Level 1 Certificate in Accounting and Finance as no prior knowledge and experience of Accounting and Finance is required. As age limit matters for accredited certificate therefore you must be over 16 for this Certificate level course.